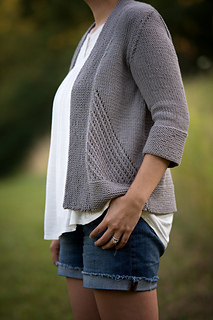 Everyone needs a cardigan to grab on chilly evenings, even at the height of a Midwestern summer. Silver Creek is the best of both worlds. 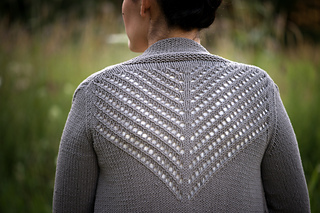 Knit in a cotton/bamboo/silk blend, this sweater breathes and stays light even in the thickest of heat. 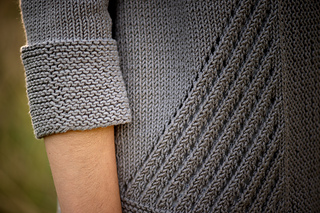 Knit in a worsted weight yarn at only 4.5 stitches per inch, this will fly off your needles. 5 (6, 6, 8, 8, 9) skeins in color 37 Gun Metal Grey.